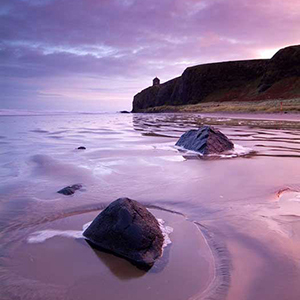 Weave your way along the western edge of the Emerald Isle. Immerse yourself in the wild lyricism of the Western landscape of Ireland, the rich heritage, and warm welcome of its people. 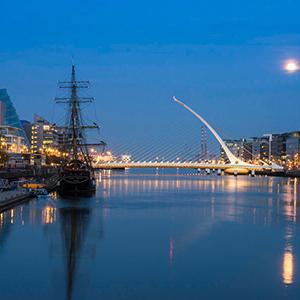 I had a wonderful trip to Ireland thanks to your wonderful suggestions and arrangements. Everything was just perfect. 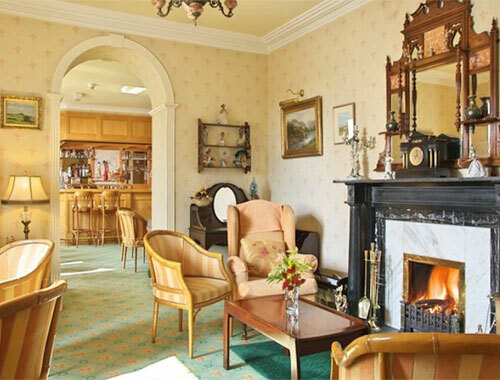 Visit the coastal town of Cobh and Old Head. 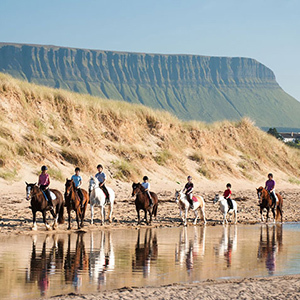 Tour County Clare & visit Lisdoonvarna. 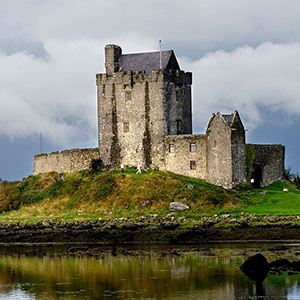 Tour the lunar-like Burren or visit the wild Aran Islands. 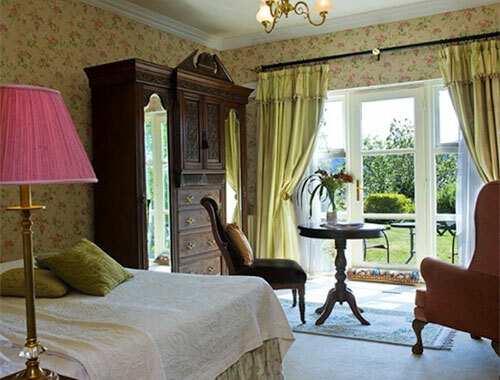 6-Nights deluxe hotel accommodations with full breakfast daily. Self-Drive rental vehicle with unlimited Mileage & CDW Insurance OR upgrade to a Professional Driver Guide. Day 1: Arrive in Ireland. 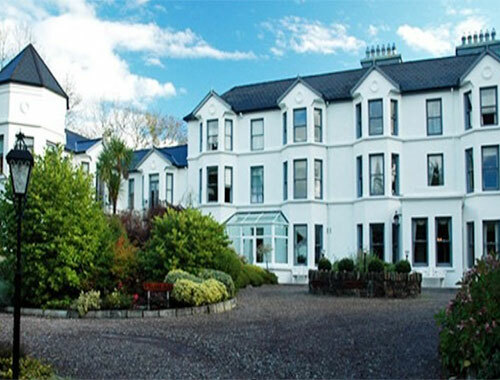 2 nights stay in Cork. 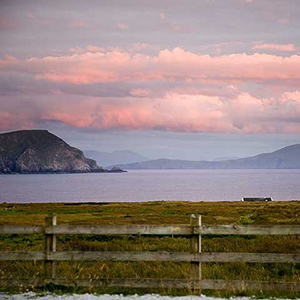 Arrive in Ireland, and begin your Wild Atlantic Way experience by driving south to County Cork. 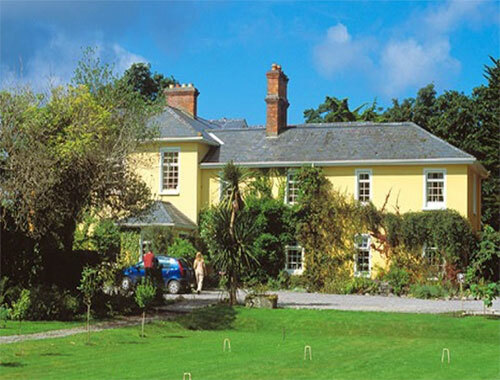 Stay 2 nights in the Seaview House Hotel. 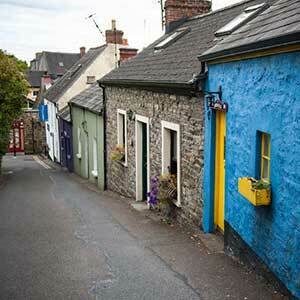 Discover the town of Kinsale, regarded as the gourmet capital of Ireland. It is foodie heaven! Bustling Kinsale was once a Viking trading post that played a key role in Irish history. Visit your first signature discovery point on the Wild Atlantic Way Tour: the Old Head of Kinsale, close to the site of a World War I tragedy. In 1915, a German U-boat sunk the transatlantic liner, The Luisitania just off the Old Head of Kinsale. 1,200 passengers and crew lost their lives, leading to the United States entering World War I. Another option to see the Old Head is to take a boat trip or to explore the caves beneath by way of sea kayak. Day 2: Tour Cobh, Cork and Blarney Castle. Visit the discovery point of Mizen Head today. From here, you can walk across the arched suspension bridge connecting the mainland to a rocky crag that juts out into the crashing sea. 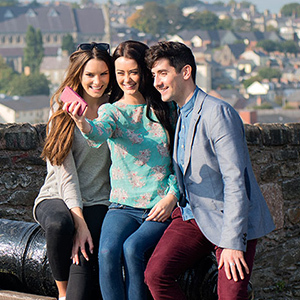 Tour Cork City, and Cobh Harbour. 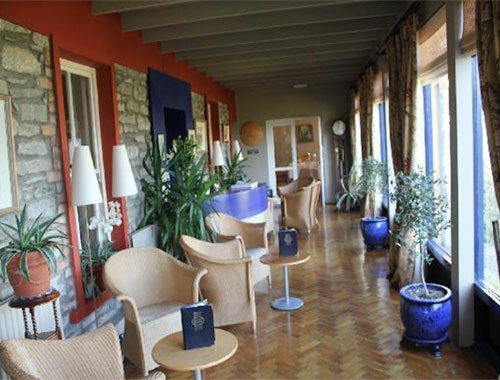 Visit the Cobh Heritage Centre, the last port of call for the Titanic. 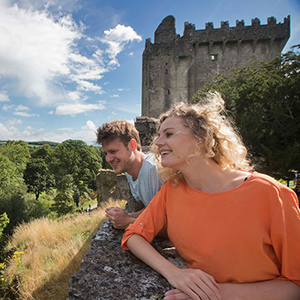 Visit Blarney Castle and kiss the famous Stone of Eloquence. 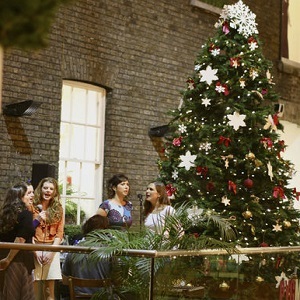 Shop at the Blarney Woollen Mills. 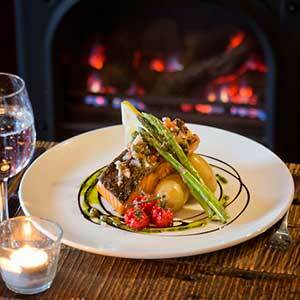 Enjoy dinner in Cork or Kinsale this evening. 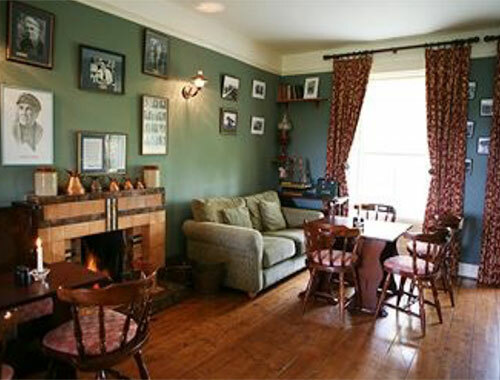 Afterwards drop into a local pub, enjoy traditional Irish music and a pint of Guinness. Day 3: Stay 2 nights in Kerry. 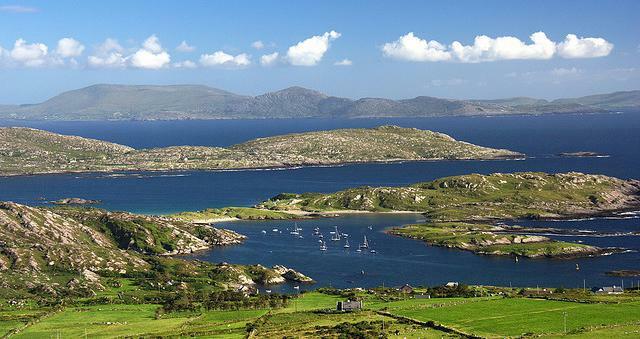 Tour the famous Ring of Kerry. 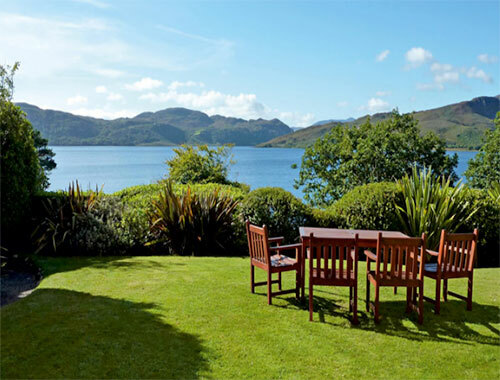 For centuries artists and writers have been inspired by this beautiful landscape where the contrasting mountain, lake, and coastal scenery is at its most spectacular. 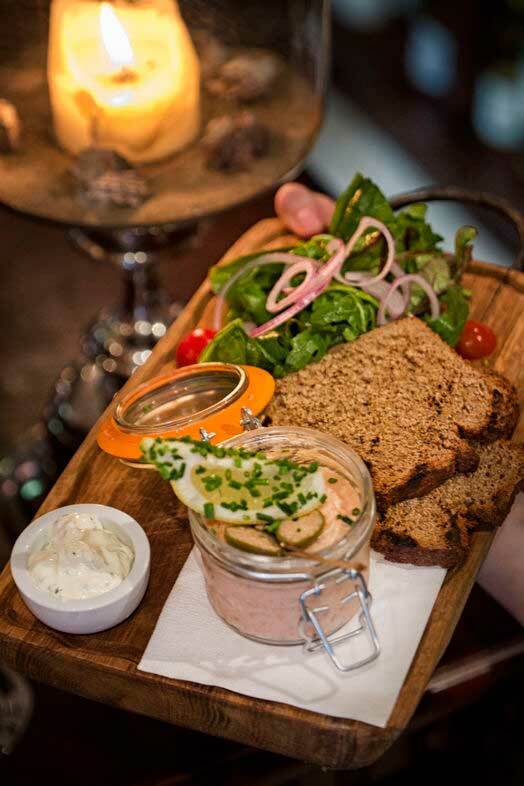 Visit the fishing town of Dingle, offering fantastic Irish music, stunning views, and award winning seafood restaurants. 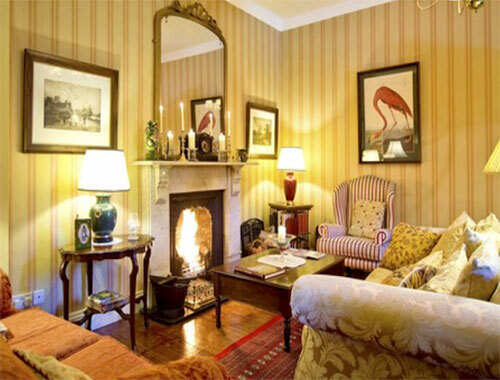 Stay 2 nights in the Carrig House. 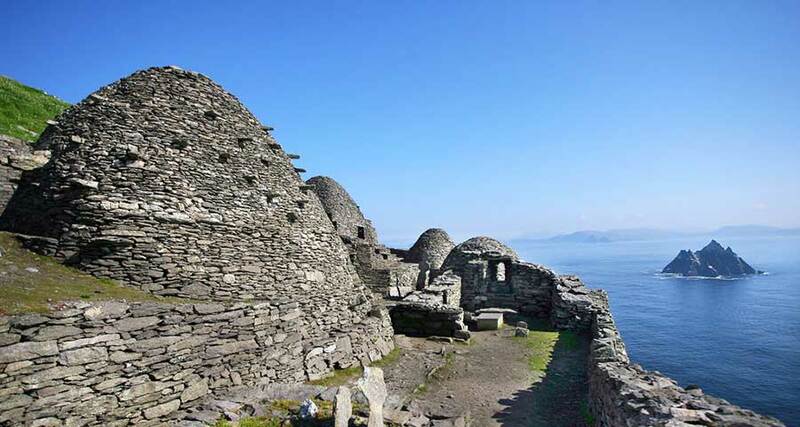 This morning, visit the discovery point of Skellig Michael, an UNESCO World Heritage Site. 1300 years ago Christian monks built a home on the top of a jagged ocean rock, 8 miles off the coast of Kerry. Skellig Michael is one of the wonders of the world. 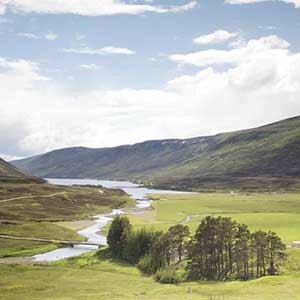 It can only be reached by a small boat, but it is truly worth the pilgrimage. 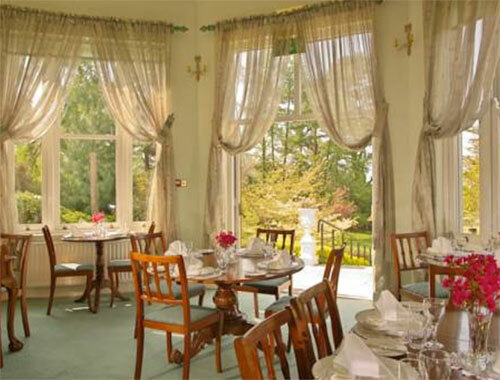 This afternoon visit the charming market town of Kenmare and enjoy lunch in one of the town’s fine restaurants. 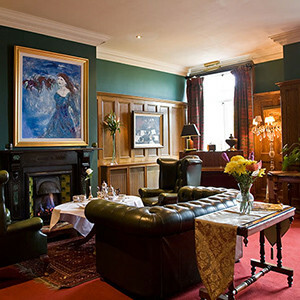 Or perhaps enjoy an evening in the lively town of Killarney. Day 5: Tour Co. Clare. 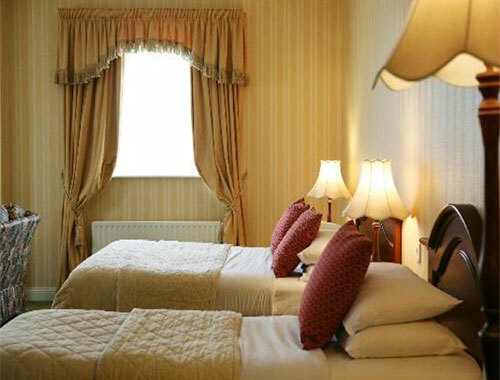 Stay 2 nights Lisdoonvarna. 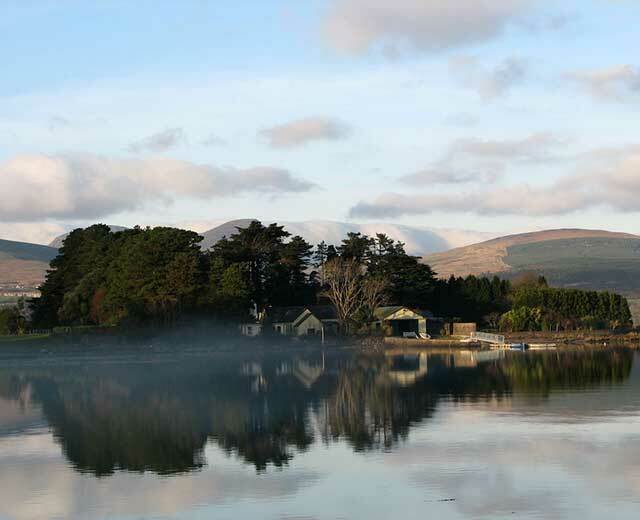 Depart Kerry and drive to County Clare. 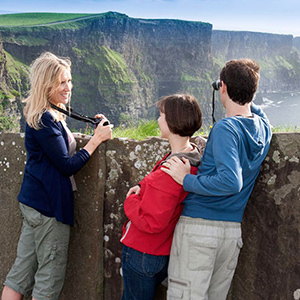 Explore your next discovery point on the Wild Atlantic Way, the world famous Cliffs of Moher. The Cliffs of Moher tower 700 feet above the Atlantic Ocean. They are a stunning sight to behold. 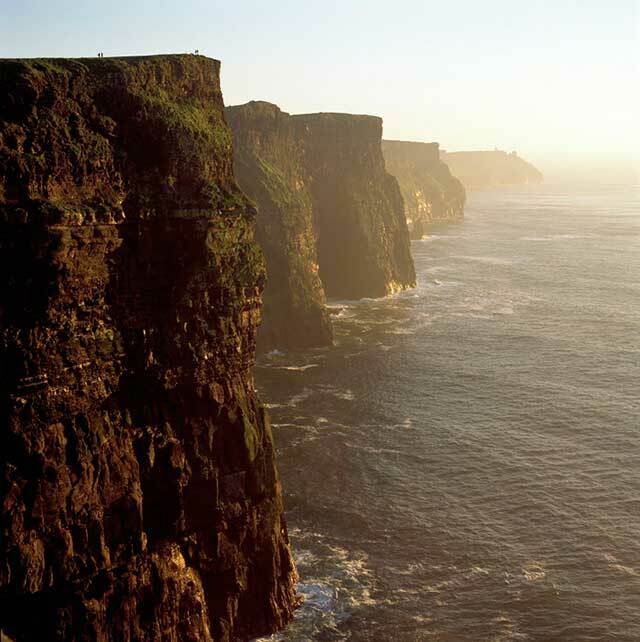 While there, check out the Cliffs Exhibition at the Cliffs of Moher Visitor Experience Interpretive Center. A huge domed cave contains images, exhibits, displays and experiences that will delight young and old alike. There are also many walking trails along the cliffs, providing the perfect vantage point, and a unique experience you’ll never forget. 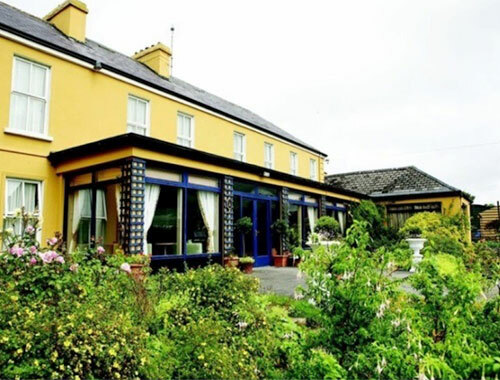 Stay 2 nights at Sheedy’s Country House Hotel in Lisdoonvarna. 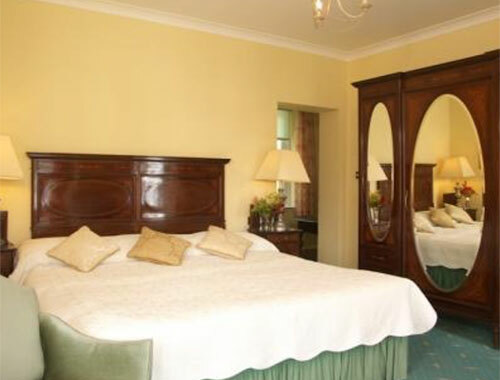 Day 6: Tour the Burren or the Aran Islands. Visit the Burren, a lunar – like limestone landscape with ancient druidic altars and the most magnificent flora and fauna. 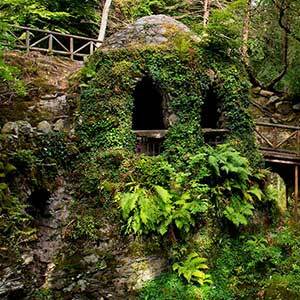 Make sure you see the Birds of Prey Center, and visit the Ailwee Caves with its underground waterfalls. Or instead would you like to take a ferry from Galway Bay to the Aran Islands? You can easily rent bikes on the island. 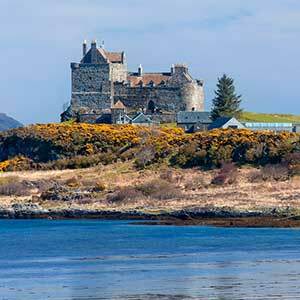 It’s a great way to explore the medieval castles, cliffs, prehistoric stone forts, sandy beaches, local crafts, pubs, and more. 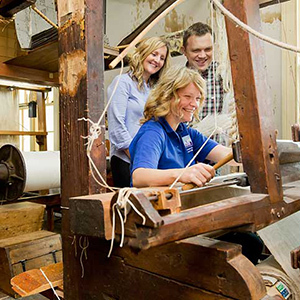 Here you can experience life from a bygone era. 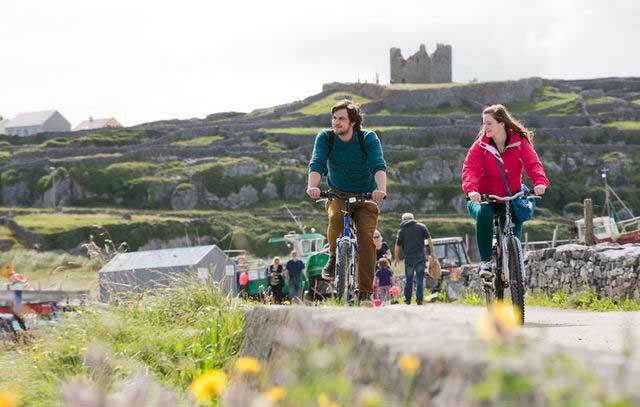 The Aran Islands’ raw beauty and charm leaves visitors longing to return again, and again. Day 7: Depart for the US. 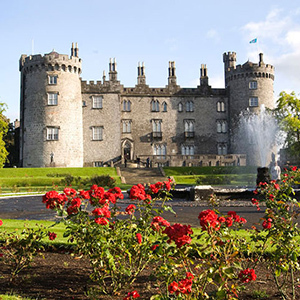 Drive to Shannon Airport, return your rental car and prepare for your flight home.